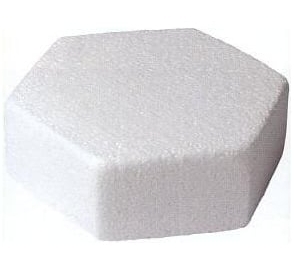 All our hexagonal cake dummies come in a depth of 4″ of high quality polystyrene. Order with confidence. All items come in secure packaging on recorded delivery for piece of mind. 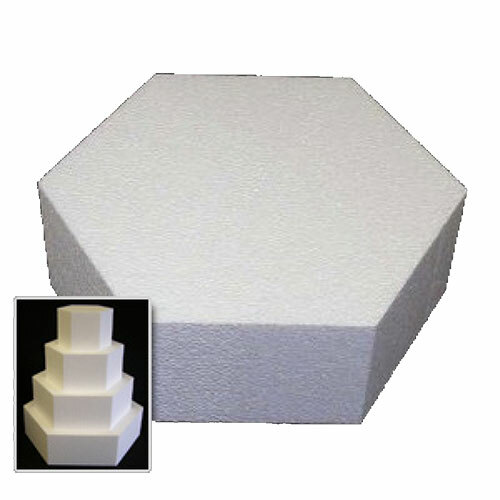 Hexagonal cake dummy, 4″ depth and large 14″ Diameter. Quality packaging made from recycled polystyrene. Free postage and package.